(By Raheel Adnan) After several first winter ascents in Nepal, Polish climbers made the first attempt to climb Nanga Parbat in 1988-89. Since then, there have been 17 known attempts to scale this mountain in winter. In winter 1996-97 Krzysztof Pankiewicz and Zbigniew Trzmiel narrowly missed the top, when the latter had to retreat from just 250m below summit due to severe frostbite. 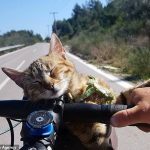 Majority of other climbers never managed to go above 7000m. In October 1950, three Brits, J. W. Thornley, W. H. Crace and R. M. W. Marsh, hit the road to spend winter in northern Karakoram for observatory purpose but their plan was thwarted by unforeseen issues. They, instead, opted in to do a winter reconnaissance of Nanga Parbat. It wasn’t a pure climbing expedition but a trip to study temperature, snow and avalanche conditions on the mountain in winter. After setting up BC and C1 on Rakhiot Face by mid-November, Thornley and Crace climbed further while Marsh had to turn back due to frostbitten toes. On December 1st, a snowstorm struck the mountain. Thornley and Crace who were in a tent at 5500m went missing and were never seen again. Several unsuccessful attempts including an aerial search were carried out to reach the missing men. 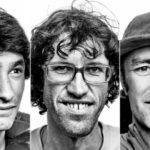 The disappearance of Thornley and Crace further added to the notoriety of unclimbed Nanga Parbat that had already taken 29 lives, before that. After successful winter ascents in Himalaya proper, the Poles turned to Nanga Parbat in 1988-89. 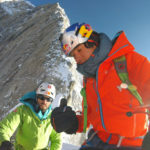 Maciej Berbeka lead a team of ten (eight Polish, one Colombian, one Italian) to climb the Rupal face via SE Buttress. 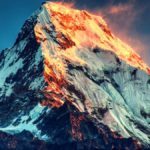 However, assessment of conditions on the mountain compelled them to switch to German route (first climbed by Messner brothers, Felix Kuen and Peter Scholz in 1970). The meteorological conditions in western Himalaya were quite different and difficult than Himalaya Proper. 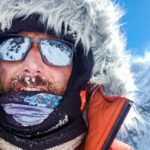 Lower temperatures, hard ice, strong wind and fewer weather windows seriously hindered the team's progress and eventually the expedition was called off amidst deteriorating weather. The maximum altitude of 6800m was achieved by Maciej Berbeka, Piotr Konopka and Andrzej Osika on February 09. 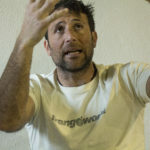 Maciej Berbeka returned to Nanga Parbat in winter 1990-91, confident that knowledge and experience from previous expedition would enable him to go atop. This time the team of 11 consisted of seven Poles and four Brits. Their plan was to climb German route. 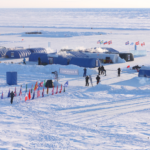 The team reached Base Camp at the end of November, and established C1 on December 1st, but then the progress to C2 was slowed by worsened weather. On December 19, a pressure wave cause by an avalanche on the mountain flattened the tents at BC. Bad weather and high winds denied all the efforts to reach C3 at 6800m. Maximum altitude attained on Messner route was 6600m. On January 13, with only 14 days of expedition left, the chances of success on aforementioned route were nonexistent and the climb seemed over. But Maceij Berbeka made a brave move. He decided to switch to Schell route. The plan was to acclimatize till 7000m, and then launch the summit push. Again the strong winds didn't allow the pair, Andrzej Osika and John Tinker, to go above 6600m. Expedition wrapped up on January 27th. Two French climbers, Eric Monier and Mlle Monique Loscos made an unsuccessful attempt to climb Schell route in 1992-93. They reached the Base Camp on December 20th and established ABC on 23rd. The duo made several attempts to go above 6000m, but harsh weather forced them to retreat every time. On January 9th, Eric was at 6500m but strong wind didn’t let him go further. He descended to BC on 10th and expedition was eventually called off on 13th. In winter 1996, British architect and writer Victor Saunders and Danish climber Rafael Jensen made a brief attempt to climb Kinshofer Route on Diamir face. They examined the mountain conditions in November before going back to Islamabad to obtain climbing permit. Upon their return, they settled in a shepherd’s hut at 3700m, which served the purpose of Base Camp. Next, they hauled the gear and food to 4300m and 5000m. But the challenges of a winter climb were more severe than what they had anticipated. The expedition was over, well before the start of calendar winter and arrival of Polish team, which intended to climb the same route. Highest point reached by this team was somewhere below 6000m. The third Polish winter expedition to Nanga Parbat was led by the father of winter altitude climbing Andrzej Zawada. After two attempts on Rupal side, Poles switched to the Kinshofer Route on Diamir face (which Krzysztof Wielicki had solo climbed in summer, earlier that year). This expedition eventually proved to be the most successful winter assault on Nanga Parbat till date. 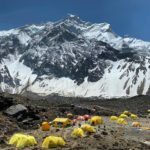 First three camps were established by the end of January - last one being at a altitude of 6700m. The team must have had a strong feeling of success when C4 was reached in early February. Duo Krzysztof Pankiewicz and Zbigniew Trzmiel felt strong for the summit push, when they left C4 for the summit on February 11th. Unfortunately due to severe frostbite, both of them had to turn back slightly short of summit. 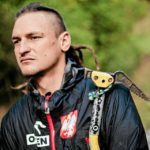 Krzysztof Pankiewicz retreated from around 7700m, while Zbigniew Trzmiel was merely 250m short of summit. Frostbitten Zbigniew Trzmiel and Krzysztof Pankiewicz were heli-evacuated from BC. 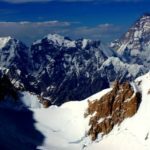 The magnificent feats of Polish climbers in Himalayas during winter 1980s earned them the well-deserved title of "Ice Warriors". A team led by Maciej Berbeka made first attempt to climb Nanga Parbat, in winter 1988-89. Artur Hajzer (middle) between the photographs of the late Maciej Berbeki (left) and Tomasz Kowalski, who perished on Broad Peak last year. The head of the Polish Winter Himalaism, Artur Hajzer, himself died on GI, this summer.